Yesterday, Thursday, February 18th, Oregon, the last of a row of 3 Live Webcast had been held in the Autodesk Office Lake Oswego, Andrew Anagnost, Thomas Heermann (Alias Product Series), Hilde Sevens (Navisworks), Brain Roepke (Data Management)and finaly Amy Bunszel (Mechanical Products) talked about the highlights of the 2010 products. The team provided first information about the new Autodesk Product Line for the Manufacturing Industry field. Starting with the introduction the highlight functions of the new upcoming Ailas Products presented by Thomas Heermann. After that Hilde Seven provided a great overview of the new tailored Navisworks for Manufacturing that really give Engineers great functionality to experience the planed Factory design, a great tool that is really needed in this kind of Engineering. Then Brian Roepke takes the word and described the rebranded kinds of Productstream, there will be at least 3 kinds of Vault based Products avavailable, Vault (Bundled with AIS/AIP ), Vault Workgroup (e.g. includes revision management, file and folder security), Vault Collaboration (e.g. more scalable for larger workgroups, connecting multiple workgroups, easy share date with an extended team), Vault Manufacturing aska Productstream (e.g. Manage the complete BOM, Engineering change management, Integration of business systems like SAP). As round up Aimy Banszuel talked about the 2010 Engineering products. Fist of all, there is a new product that will be called Inventor LT Suite, this is a bundle with Inventor LT and AutoCAD LT (First only in US). Then she provided details about the key themes of new integrations like the reach of a new level in Digital Prototyping for Consumer Products, Layout Design and Simulation, Usability and Interoperability. 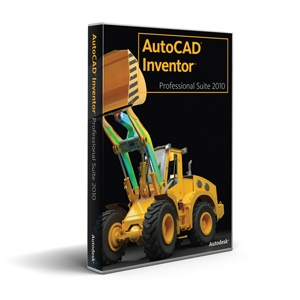 Introduced in the 2010 release, this new suite combines Autodesk Inventor LT and AutoCAD LT, one of the worlds top-selling 2D drafting and detailing software, to make it more practical and affordable for mechanical design professionals to start designing in 3D and participate in Digital Prototyping workflows. Autodesk Inventor LT offers powerful part-level 3D parametric modeling, multi-CAD translation capabilities, automated DWG drawing views, and many other advanced capabilities found in Inventor. Now with even more intelligent drafting features for automating common design tasks, AutoC CAD Mechanical offers mechanical designers and drafters significant productivity gains. New features include a streamlined design environment and bill of materials enhancements that help produce consistent results on the shop floor. Purpose-built to accelerate the creation of electrical controll systems, AutoCAD Electrical now offers a streamlined design environment and a a new one-line circuit symbol librarry that help to increase productivity for control engineeers. Enhancements to the powerfuul Circuit Builder tool enable designers to analyze the energy efficiency of circuits a and help them to make green engineering decisions. 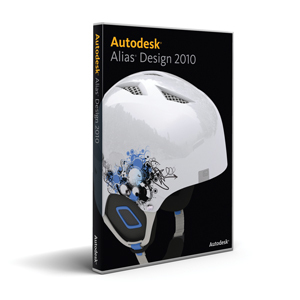 Autodesk Alias 2010 industrial design software marks a major milestone with its first release on the Macintosh platform. Now available on Mac OS X, the new product family focuses on the specific needs and workflow requirements of three user profiles: creative professionals, digital modeler/sculptors and automotive/transportation designers. New and improved functionality further lowers barriers of adoption and helps to increase modeling productivity and qualitty. One of the worlds best surface modelers, the Alias family or products provides fast, high-quality data integration and exchange with Autodesk Inventor and other third¬party CAD software. Now with integrated raytracing, the 2010 design visualizattion software enables design, engineering, and marketing teams to quickly and efficiently create accurate, photorealistic, and compelling imagery from 3D CAD data to convey form and create environmental context to communicate brand character. Users can easily change the appearancee and position of a product and manipulate parts such as wheels, body panels or mirrorrs. 3ds Max Design software makes it easier to prepare digital prototypes and create photorealistic design imagery. A render-quality viewport in the 2010 version facilitates the creative process by enabling users to iterate quickly and explore more design options. The Autodesk Vault product line features extensive new document management capabilities that enable users to easily manage design revisions and control who can access data, , and when. New revision control processes are built directly into Autodesk Invento or software, resulting in faster cycle times and better-quality engineering data. It also helps workgroups maintain control over the digital prototype at all times, so design departments can efficiently create and share Digital Prototyping information. A new part of the Autodesk solution for Digital Prototyping, the Autodesk Navisworks product line for manufacturing helps extended project teams visualize, optimize and collaborate on the most complex projects. Customers can combine large assemblies consisting of machinery, tooling, layout and facilities data from multiple CAD vendors to create a single, lightweight 3D digital model of factories and manufacturing plants. Navisworks reliably aggregates data to enable a real-time, whole-project view. Autodesk has simplified the Moldflow product line in the 2010 release to bring customers more value at a lower cost. The software suite for simulation, analysis, optimiz ation and validation of plastic parts and their associatted molds introduces new sustainability features, along with enhanced performance a and quality. Autodesk Moldflow Insight offers powerful, in-depth simulation of the industrys most advanced molding proceesses using the worlds largest plastics material database. Autodesk Moldflow Adviser simplifies plastics injection molding simulation and guides designers through analysis and interpretation, helping to avoid manufacturing delays and costly mold rework. You want to see the Webcast?